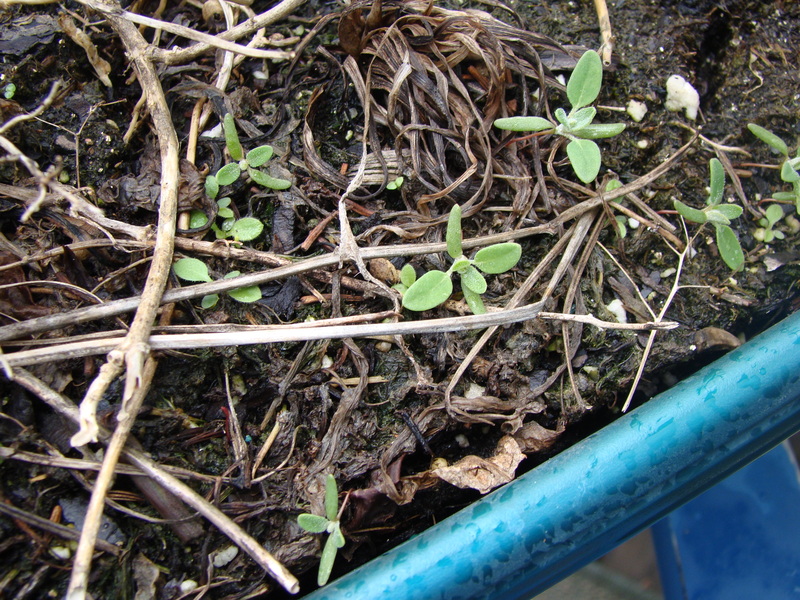 Even though this soil has been subjected to the elements, healthy sprouts are popping up. I love getting my hands dirty. In fact when I open those big bags of rich, fluffy potting soil mix I don’t even bother to wear gloves — despite my manicured fingernails. It is one of those joyful rituals that mark the start of what will hopefully be another rewarding season of container gardening.